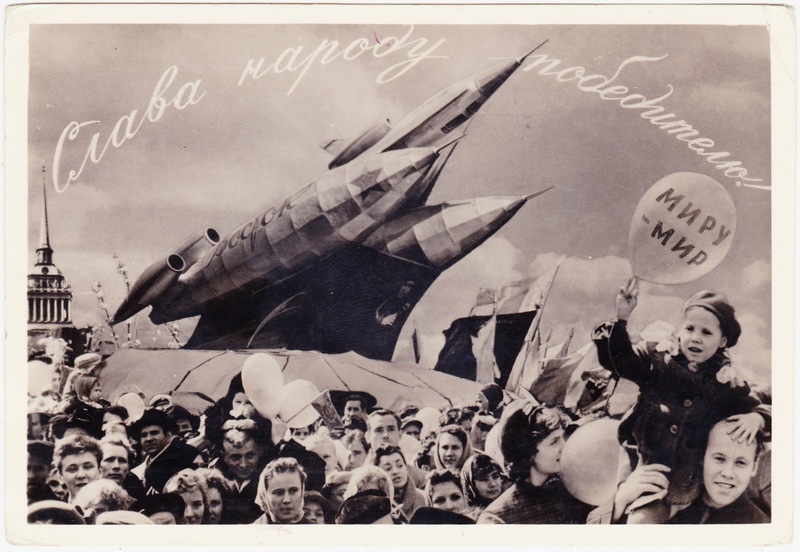 Papergreat: Ephemera for Lunch #30: Glory to the victorious people! "Dear Nadya! 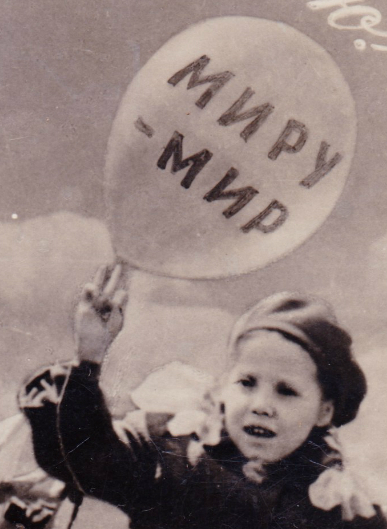 I congratulate you with the 47th anniversary of the Great October socialist revolution and wish you the best success in life and get only excellent marks at school. 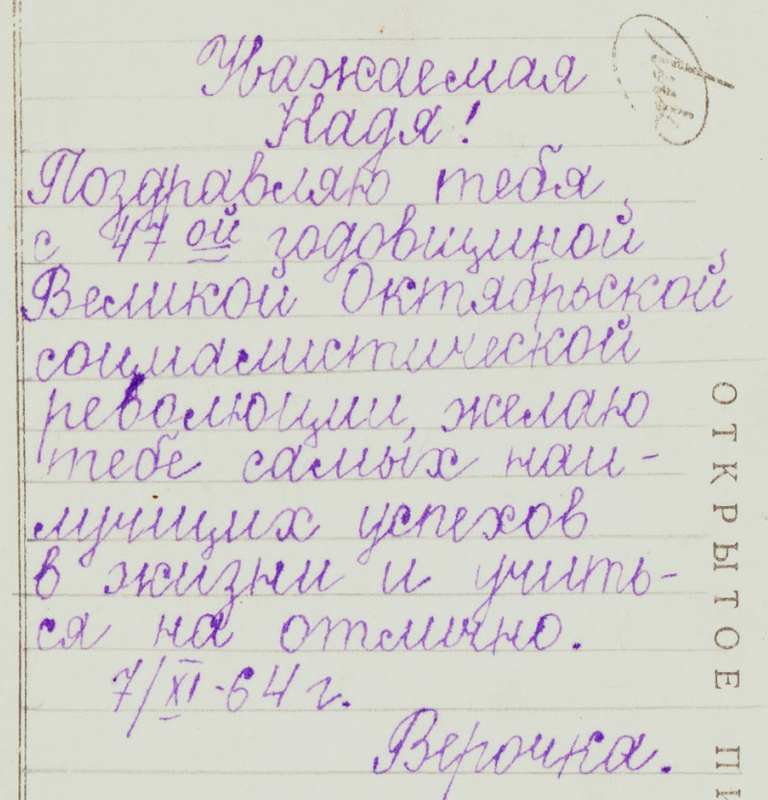 07.11.64 Verochka"